Call Midway Chiropractic for your free informational package regarding Non-Surgical Spinal Decompression. This will include recent scientific studies that show the efficacy of this treatment. Spinal decompression therapy is a clinically tested, computerized, FDA cleared treatment with a very high success rate for a number of low back or neck ailments and pain associated with herniated or bulging discs…even after failed surgery. It is a non-surgical, traction based therapy for relief of back and leg pain. 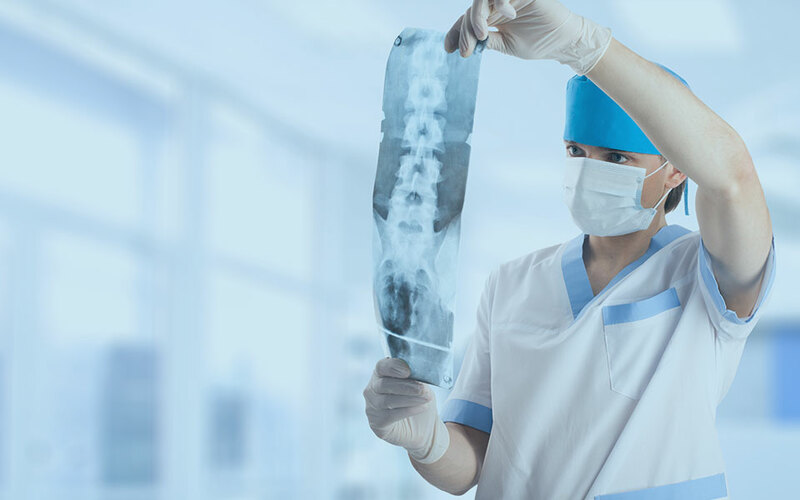 During this procedure, by cycling through distraction and relaxation phases and by proper positioning, a spinal disc can be isolated and placed under negative pressure, causing a vacuum effect within it. This decompression of the discs lets oxygen and blood flow into affected areas to speed up healing and relieve pain. Besides being a near pain free treatment, this is not a treatment you must do forever. Once the treatment plan outlined by your doctor is completed and maximum recovery has been obtained, you are done. Regular chiropractic visits can help keep you at your optimum health. Decompression of the lumbar disc is the first step to living a pain free lifestyle. All patients will be required to learn and continue a spinal rehabilitation program to stabilize the disc and strengthen the spine to avoid recurrence. At Midway Chiropractic we will teach you in our gymnasium the proper way to stabilize and strengthen your lower back. During spinal decompression therapy, a negative pressure is created within the disc. 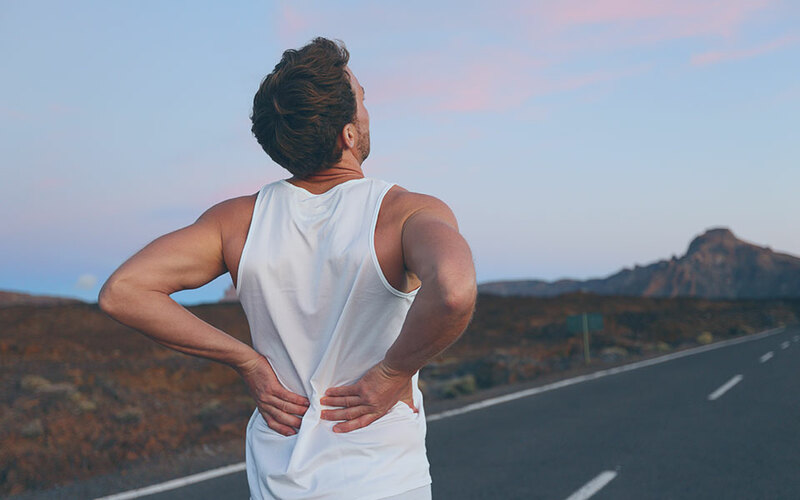 Because of that negative pressure, disc material that has protruded or herniated can be pulled back within the normal confines of the disc and permit healing to occur by letting oxygen and blood flow into the affected areas. The Axiom DRX9000 Spinal Decompression System is a computerized treatment that is painless and takes only minutes. The DRX9000 is clinically tested, FDA cleared, and offers pure, honest, genuine spinal decompression therapy. DRX9000 is the most widely used of all decompression machines. It has shown in clinical testing to be effective for treatment of Herniated/Protruded/Extruded Disc, Degenerative Disc Disease, Stenosis, Failed Back Surgery (without instrumentation/appliance), Sciatica.There is no hospitalization. No harmful side effects. 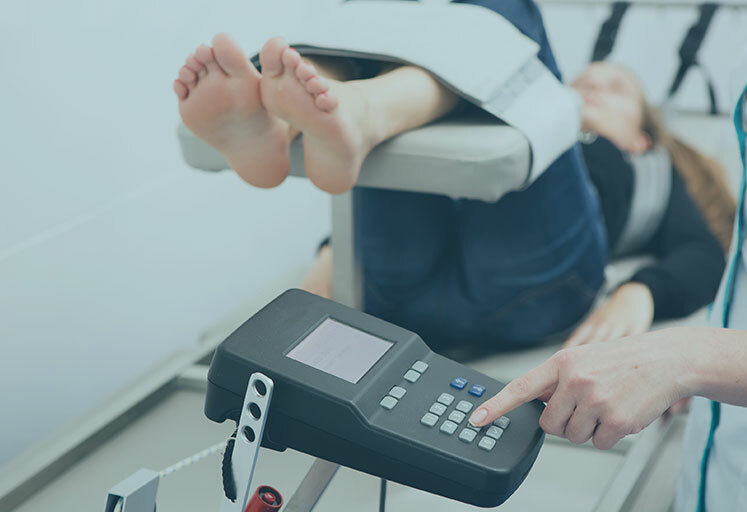 Spinal Decompression Therapy gets to the cause of pain by gently taking pressure off the spinal discs and nerves, allowing them to heal naturally. Removing pressure not only allows the spinal discs to reposition themselves but also regain vital fluids which help them to become healthier. Traction stretches the muscles and the spine simultaneously, needlessly dispersing energy between various spinal segments, sometimes triggering painful muscle spasms, which can unfortunately prevent needed decompression. Traction at times can actually increase the internal pressure inside the disc. Lumbar traction has been around for years and has been shown ineffective. Spinal Decompression, by utilizing customized angles of pull, attempts to isolate specific lumbar disc segments, and additionally, by utilizing customized programs of “hold” and “relax”, reduces or eliminates proprioceptive response and muscle spasms, thus allowing true spinal spinal decompression to occur. The computer processor senses when your muscles are spasming and shuts down the decompression. When your muscles relax, the computer activates the decompression. This monitoring occurs throughout the 45min treatment and will occurs hundreds of times. Only with this computer technology can true disc decompression occur. Anyone who has back pain caused in whole or in part by a damaged disc may be helped by spinal decompression therapy. These conditions include herniated, protruding or bulging discs, spinal stenosis, sciatica or radiculopathy (pinched nerves). It is safe for any adult patient. The doctor will evaluate your condition. 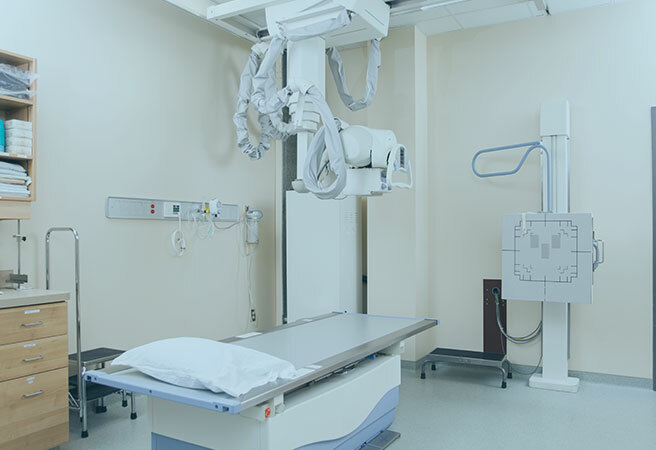 If you have x-rays, MRI’s or CT scans, please bring them along to your appointment. In many cases, yes. The doctor will determine if decompression therapy is right for you. The distraction of the vertebrae and discs will often help with increased ranges of motion associated with certain forms of arthritis. Yes! 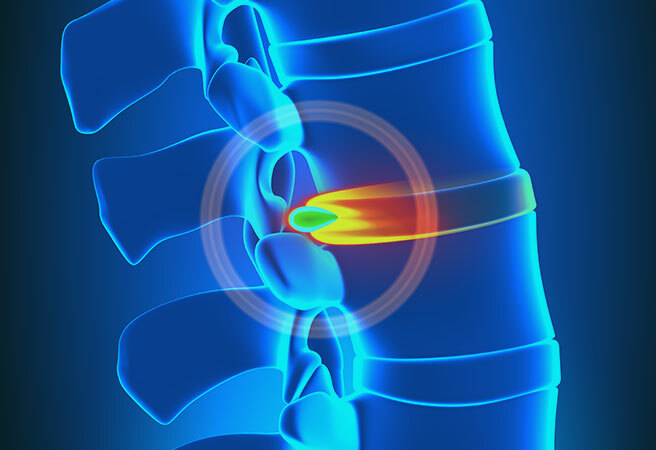 One study documented by MRI reported up to 90% reduction of disc herniations in 10 of 14 cases and other studies reported that the majority of ruptured disc patients achieved “good” to “excellent” results after spinal decompression therapy. Axiom has just released a new studies regarding the effectiveness of the DRX9000 Spinal Decompression Treatment of Herniated Disc. Spinal decompression therapy is not recommended for pregnant women, patients who have severe osteoporosis, severe obesity or severe nerve damage. Spinal surgery with instrumentation (screws, metal plates or “cages”) is also contraindicated. However, spinal decompression therapy after bone fusion or non-fusion surgery, can be performed. In almost all cases, the treatments are completely painless and most people even notice a reduction of pain during treatment. In fact, some patients fall asleep during the spinal decompression session. Some patients report increased muscle soreness following the first couple of treatments. This is to be expected (movement in that area may not have been used in a long time). The specific treatment plan will be determined by the doctor after your examination. Based on current research, our clinical experience, and normal situations, the best results have been achieved with a total of 20 to 30 sessions comprised of 30 to 45 minutes each of treatment time. It is up to the doctor’s discretion to determine these times and if the patient can tolerate the longer treatment time. will I need before seeing results? Many patients get substantial, immediate relief after just a few treatments. Some after just one. For some patients, they will follow a course of slow, gradual improvements over time. Every patient is different. in addition to Spinal Decompression Therapy? To reduce inflammation and assist the healing process, supporting structures are treated with passive therapies (ice/heat), Active Release Technique, Cold Laser therapy to reduce spasm and muscle imbalances, chiropractic adjustments (as required), active rehabilitation in order to strengthen the spinal musculature. We offer and advise all patients to perform Post Decompression Rehabilitation. The Post Decompression Rehabilitation is a series of rehabilitative exercise and stretches that are customized and modified to your specific spinal correction. Strengthening muscles, the core, and supportive structures, will not only make the body strong, but will also keep prior debilitating conditions from coming back. We will design for you a rehabilitation plan consisting of Yoga/Pilates Based Core Exercises and Stretching, Weight Loss, Swimming/Pool Exercises, Therapy Ball Exercises, Strength and Conditioning with weights at home/gymnasium. You are able to have a one on one consultation with our trainers regarding your gymnasium workouts. Will spinal decompression therapy be covered by Insurance? Bring your insurance card with you and we will be glad to check your benefits. The most important part is to determine if we can help you, after determining that we can help you, we will explain your treatment plan in detail and what is included in your treatments. Most insurances do not cover spinal decompression therapy. All insurance in the State of WA will cover Chiropractic and Rehabilitative Services. Some insurances cover massage therapy as well.